For the very best alterations in Effingham County, GA, trust Alterations by Ruth. Since 2005, our locally owned tailor and alterations company has been proudly treating each garment we come across with care and precision, ensuring the best quality alterations for each and every customer we serve. 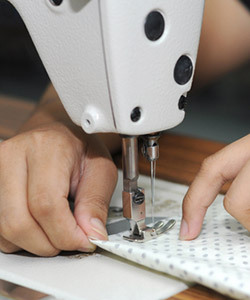 When you need a reliable tailor in Effingham County, Alterations by Ruth is here to cover all your alteration and tailoring needs. We can alter or tailor anything from your old jeans to your wedding dress, and we use only the highest quality products to ensure that your garments always come back looking their best. From hemming and stitching casual attire, to letting in or taking out your elegant attire, there’s no alteration we can’t make to help you get the best fit and the best look possible. We’ve been proud members of the Better Business Bureau since 2008, and currently hold an A+ rating, proof of our unyielding commitment to superior workmanship and customer satisfaction. We offer the best tailoring and alterations service in Effingham County. We use safe and excellent products to give you the perfect fit. We can tailor or alter all types of garments, including wedding dresses and suits. Our expert tailors are knowledgeable and friendly. "We’ve had Mrs. Ruth fix a few items for us because I can’t sew!!!! She is wonderful!!!! She is always very friendly and welcoming. She d..."
"Mrs. Ruth was great! I took my wedding dress to her and she made me feel comfortable as soon as I walked in. She was very sweet and made gre..."